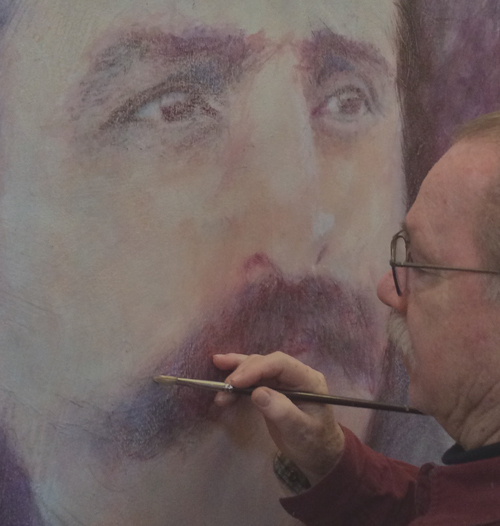 After many years as a commercial artist, Charlie Mills began painting portraits of Meher Baba in 1979. Now familiar to many, these works number over 250 and are seen in the east and west. Because most of these works are in private collections, many have been made available as museum quality archival prints. Charlie and his wife, Linda, live in North Myrtle Beach SC. Visits to his studio can be arranged by visiting the Contact page or by phone: 843 272 5613.